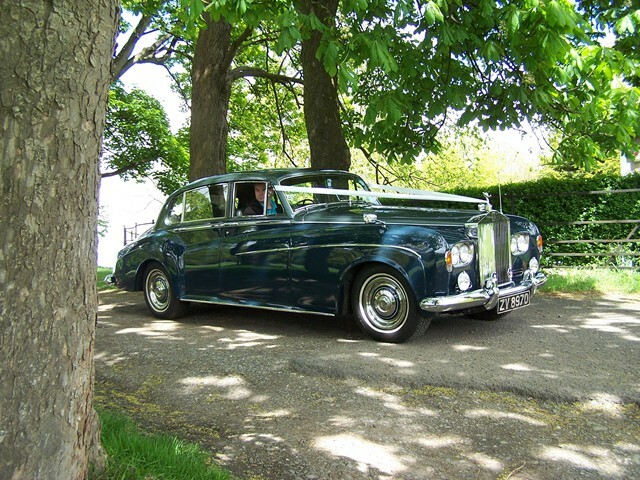 Finished in two-tone Aurora metallic over Dark Aegean Blue with a grey/blue leather interior complete with picnic tables. 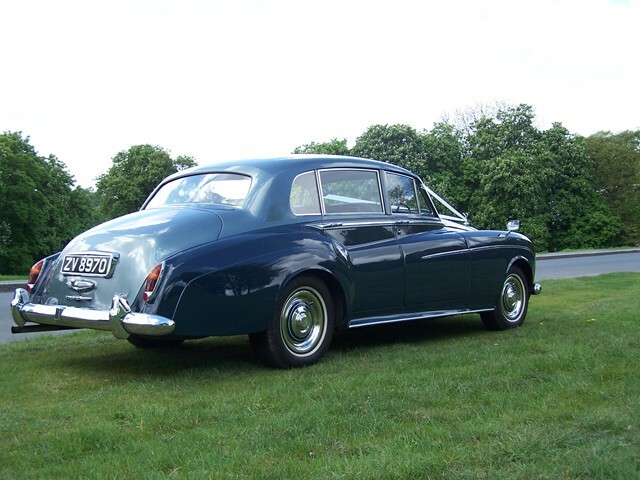 Just 254 Long wheel base Cloud III models have been produced. 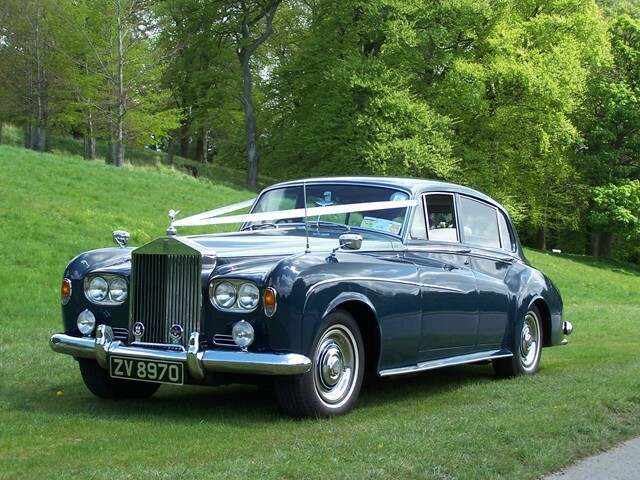 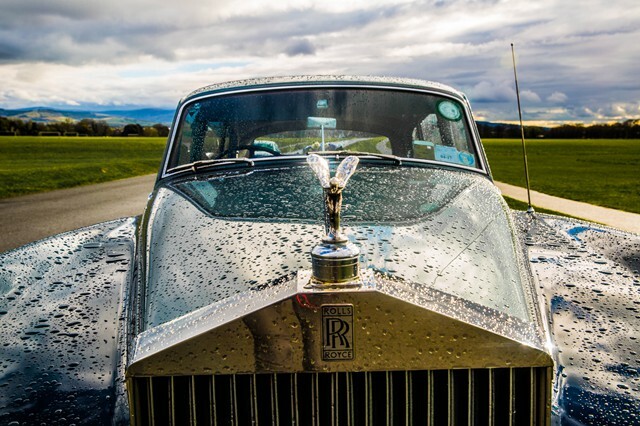 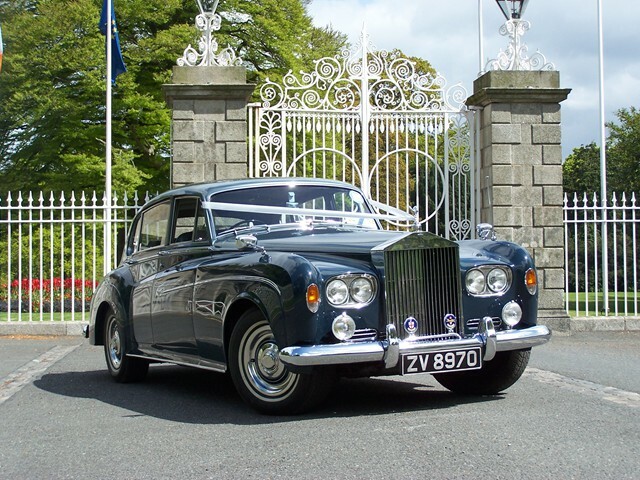 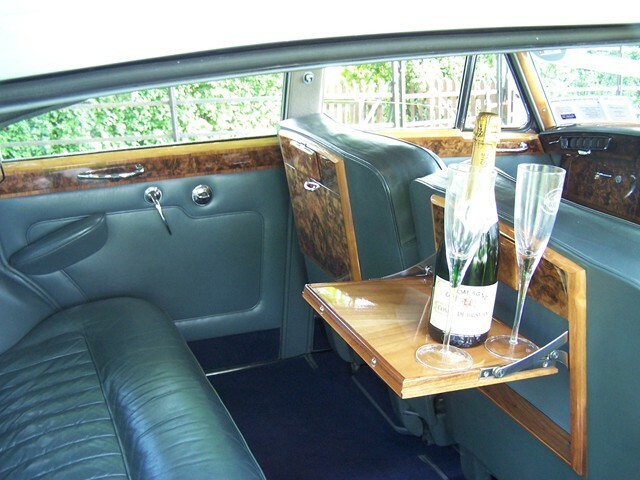 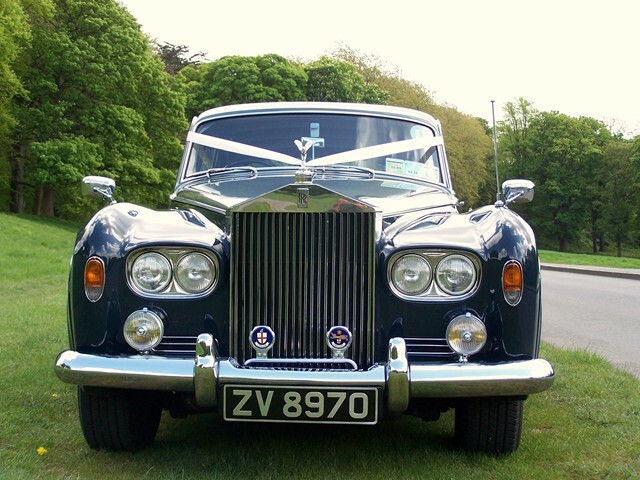 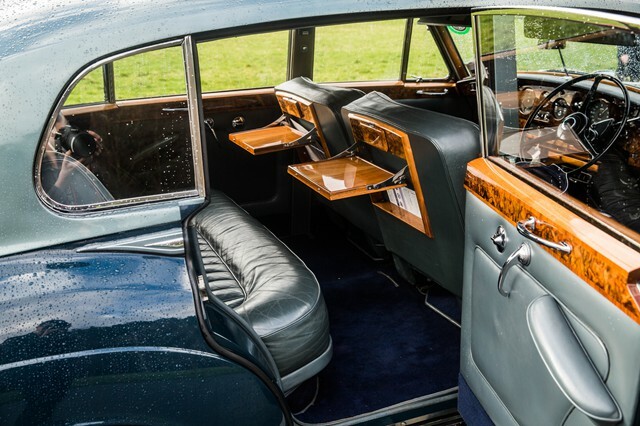 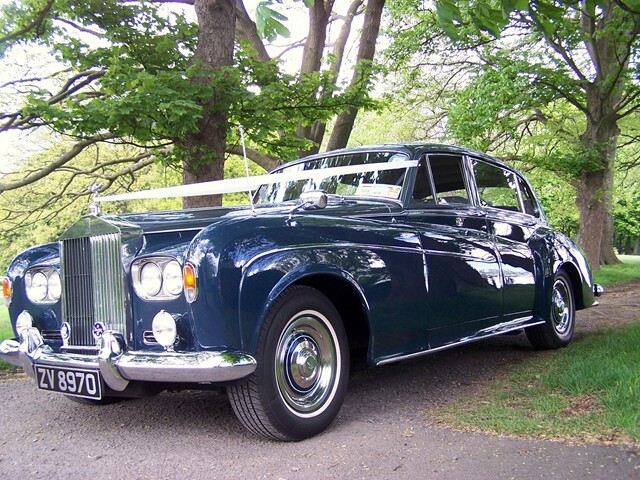 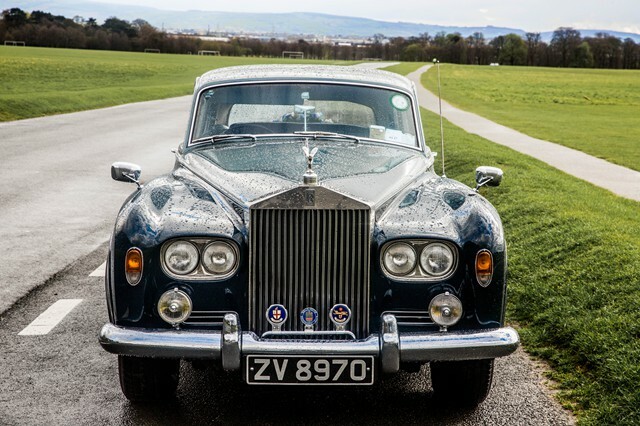 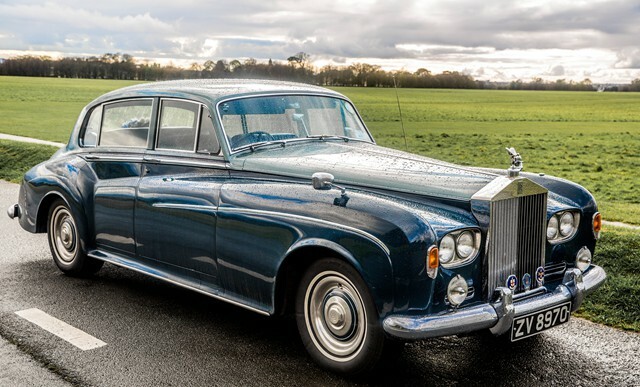 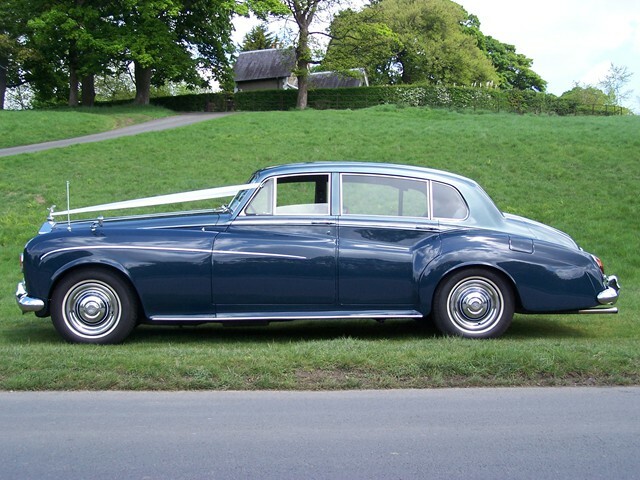 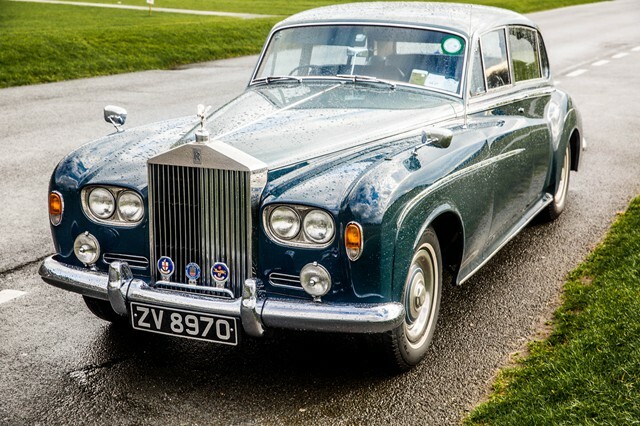 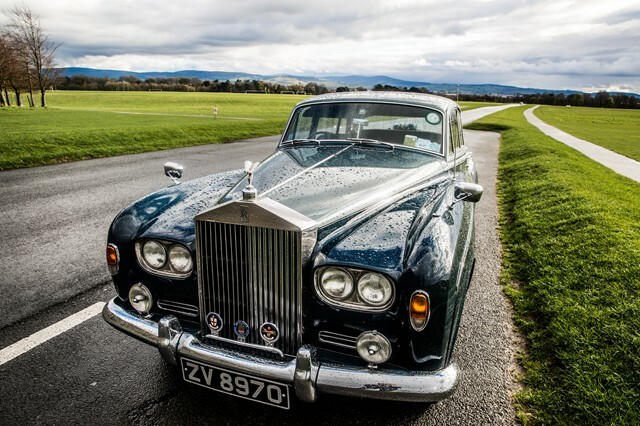 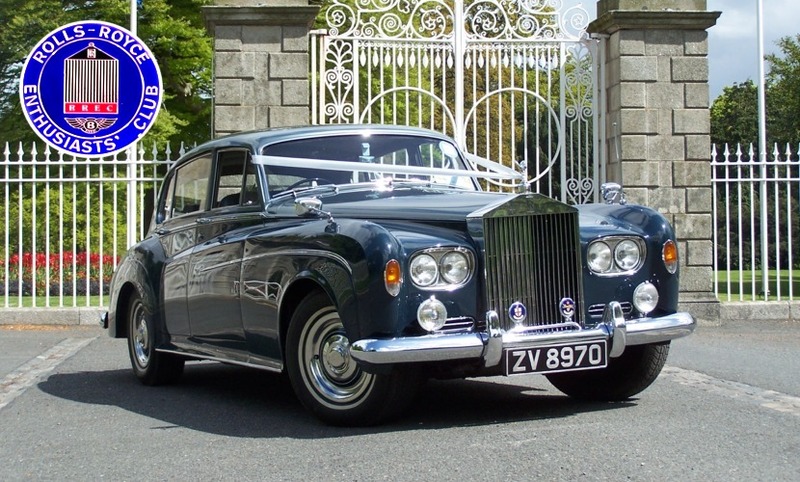 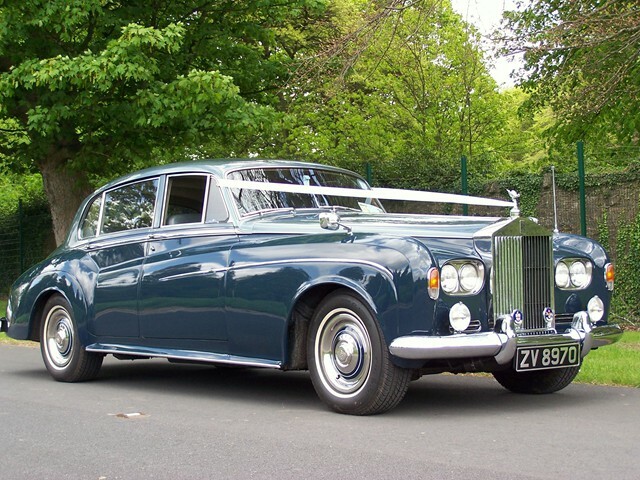 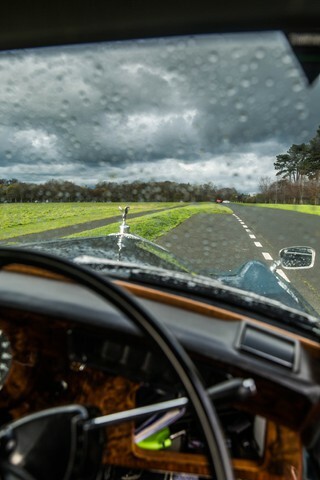 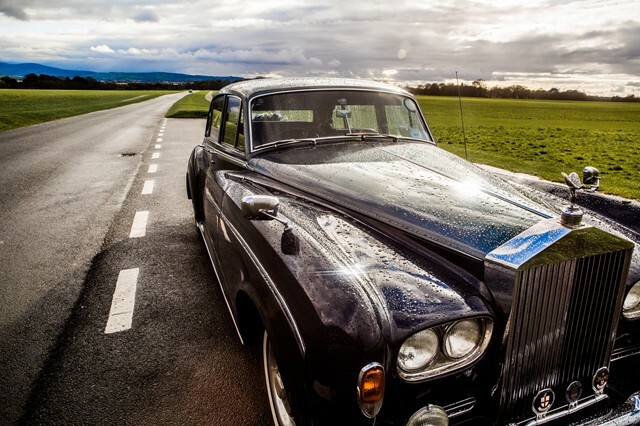 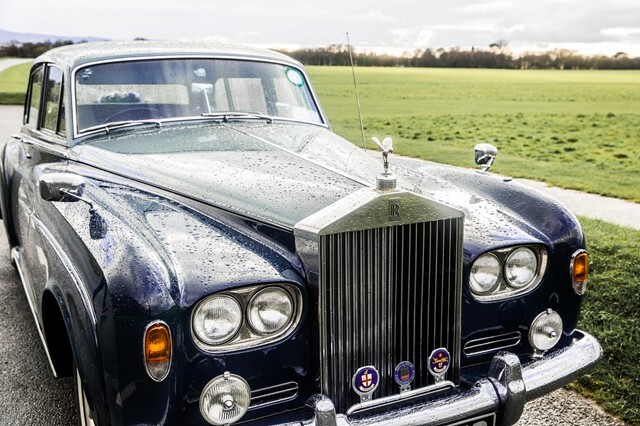 This 1964 Rolls Royce Silver Cloud III was introduced in 1962 and continued in production until 1966. 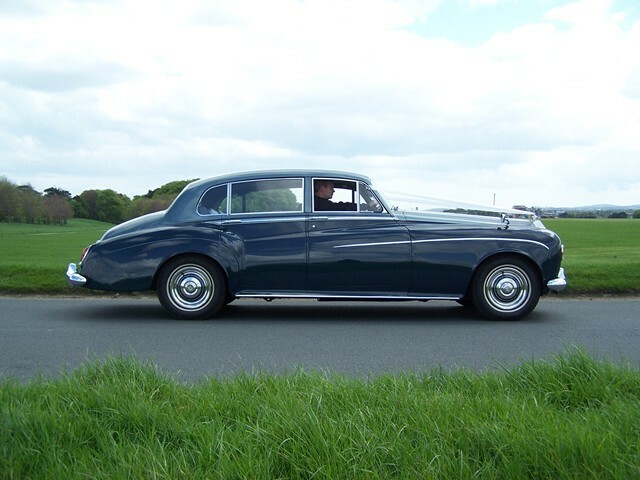 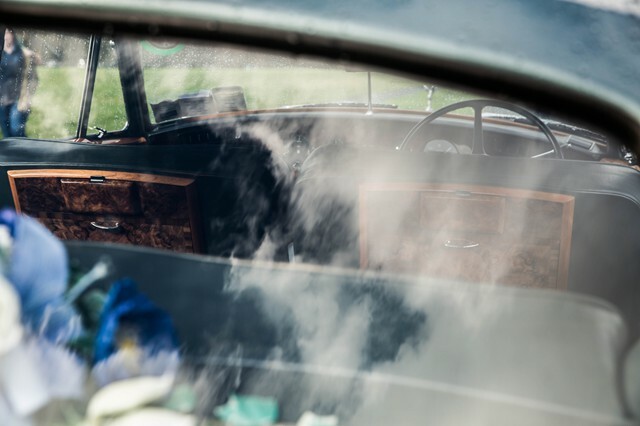 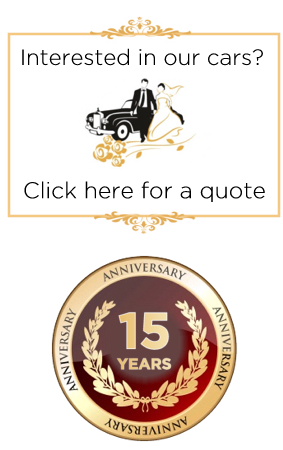 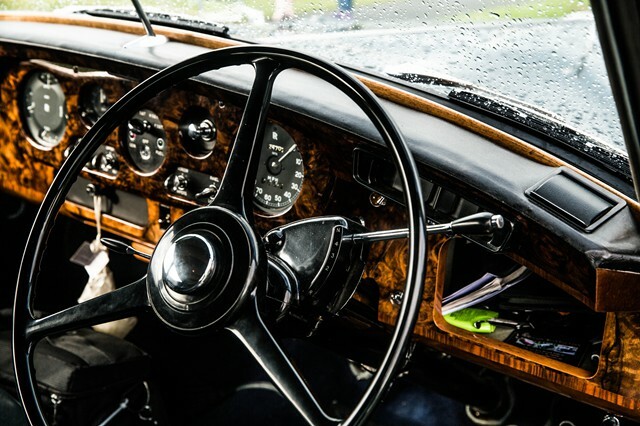 Our Rolls is equipped with automatic gearbox, electric windows, power steering and air conditioning. 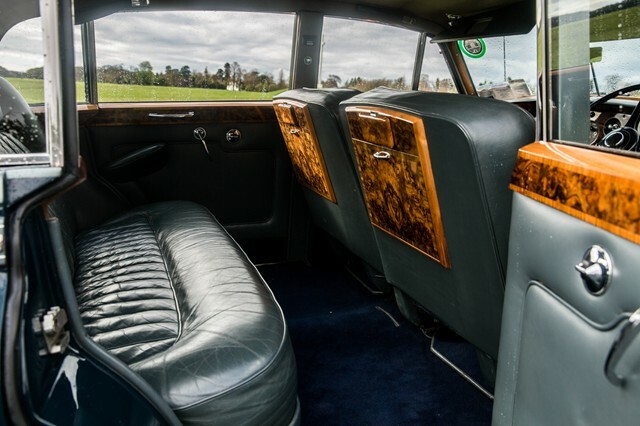 It is powered by an 8 cylinder 6.2 litre V8 engine. 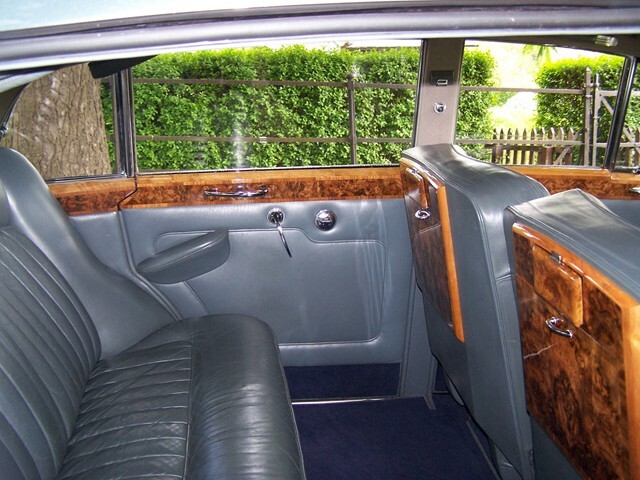 This is the largest of our cars , with extra leg room in the rear. 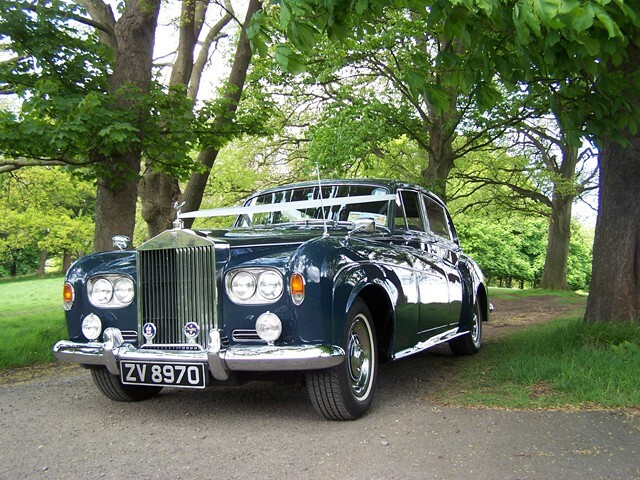 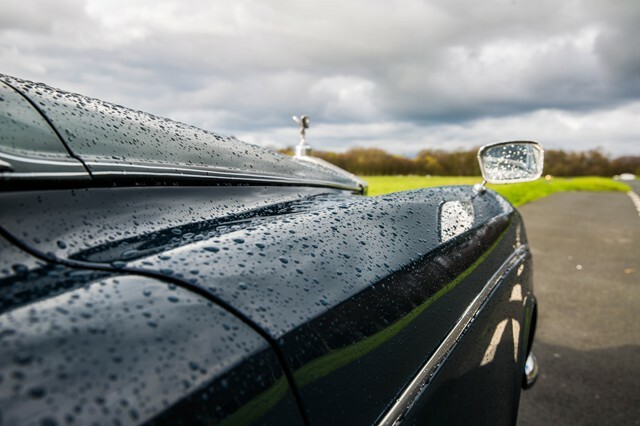 Licensed to carry 4 passengers, this car oozes class and demands attention wherever it goes. 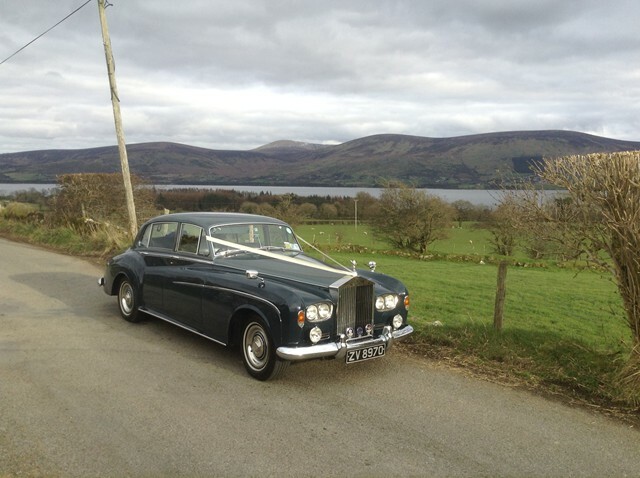 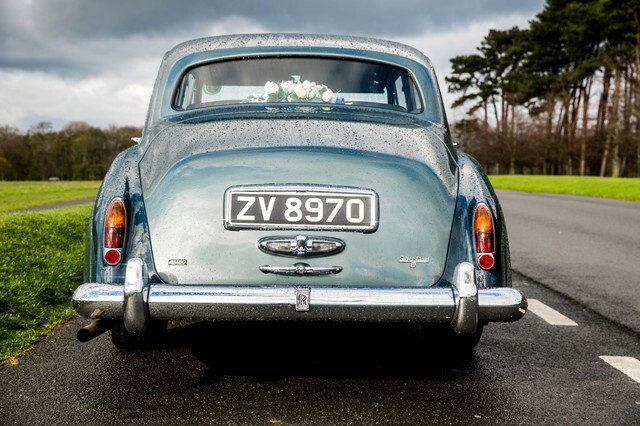 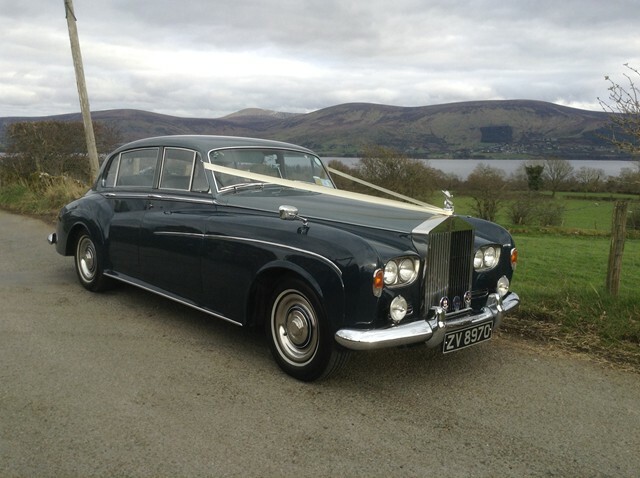 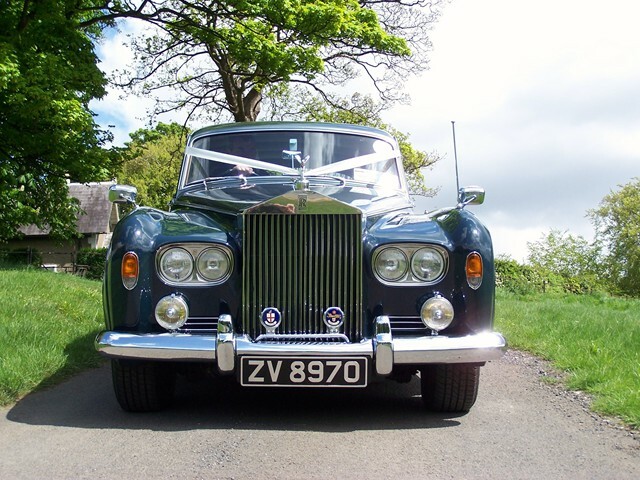 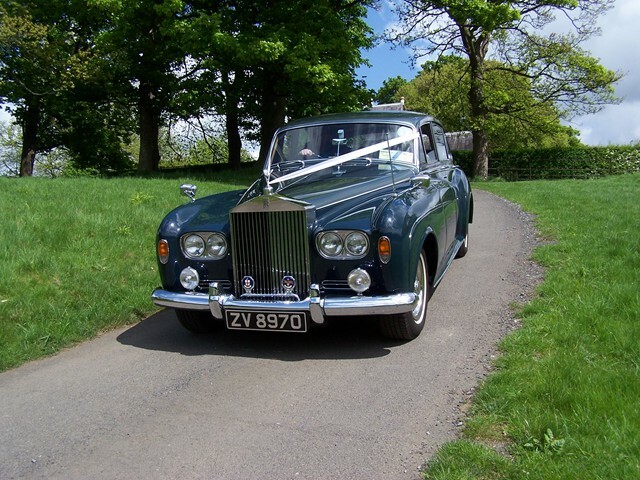 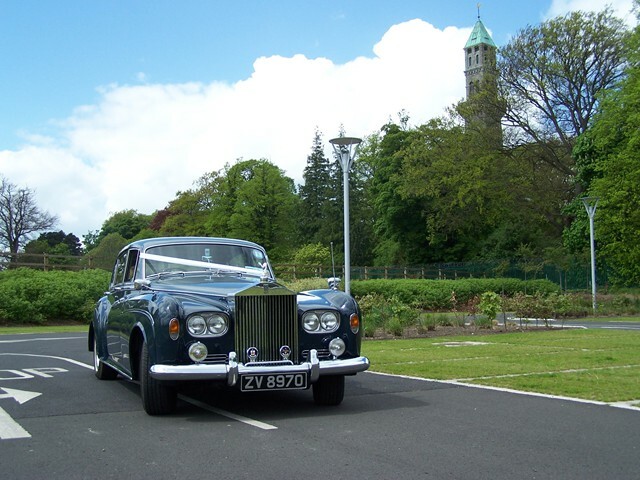 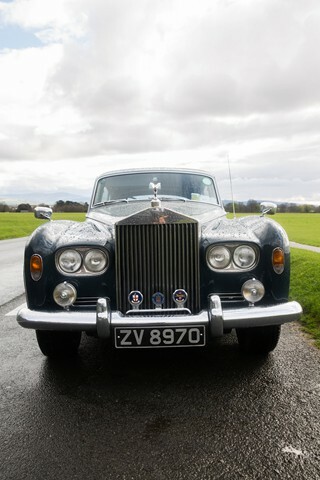 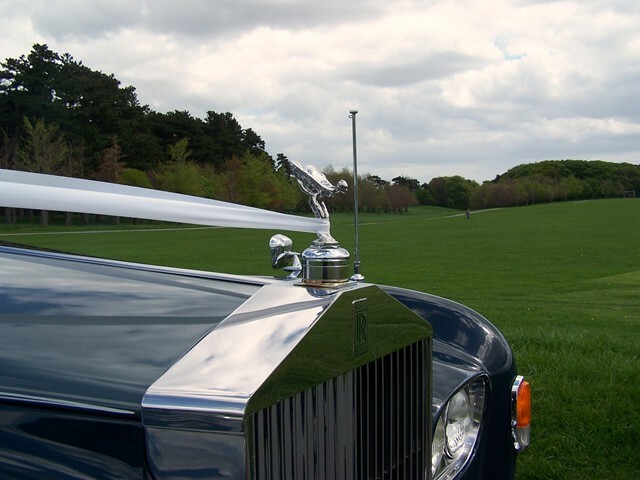 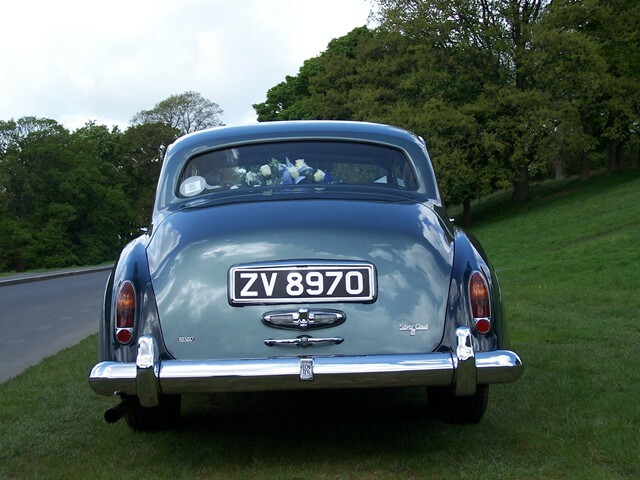 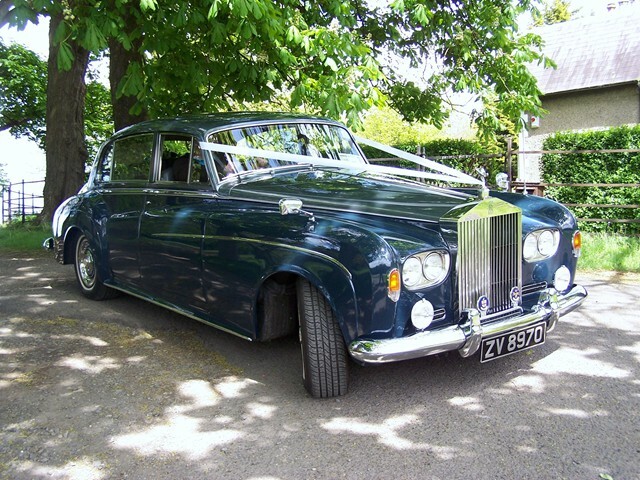 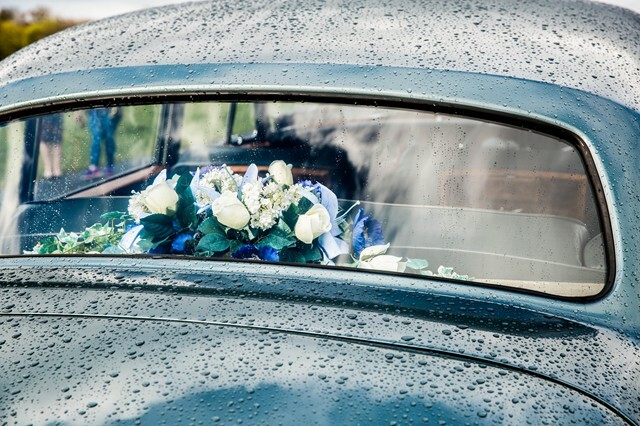 **Exclusive Long wheel base with 4 inches more legroom in the back (plenty of room for brides with larger dresses)**.